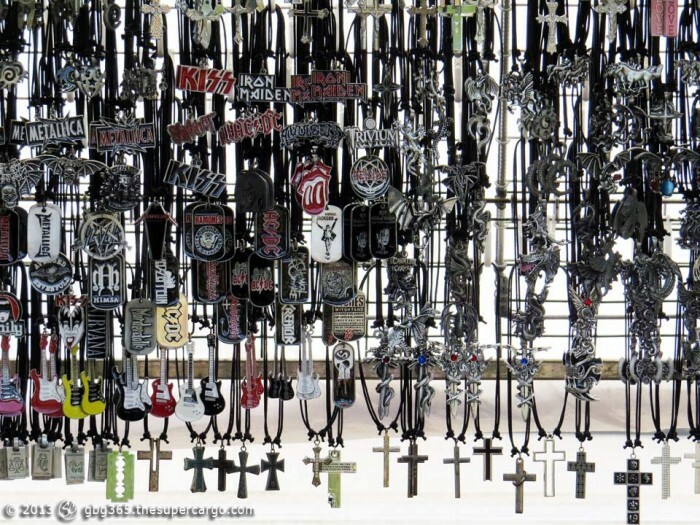 A display of rock’n’roll pendants and charms for sale from a street stall on Gothenburg’s Avenue. 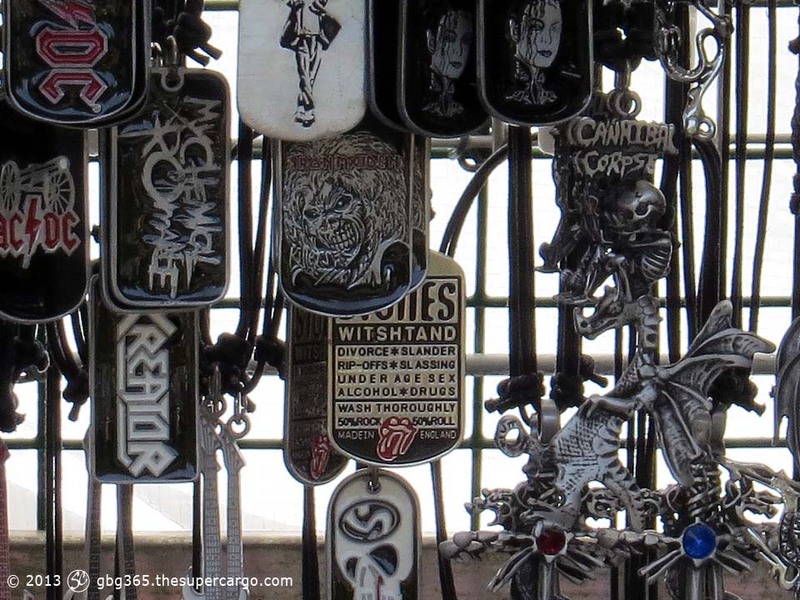 I suspect they may be rip-offs. See the lettering on the Rolling Stones dogtag in the middle of this detail of today’s photo. Previous PostPrev Article Hands up!